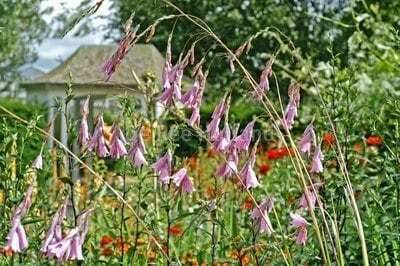 This lovely Angel’s Fishing Rod has bell-shaped pink, purple, or very occasionally, white flowers on graceful arching stems. They look wonderful when situated near water, in the moist soil they prefer to grow in. The plant has upright narrow, iris-like green leaves. Easy to grow, pest and disease resistant they are organically grown in peat free compost. As bulbs you just need to plant them and then let them do their own thing. Propagate from seed or dormant divisions of the bulbs.